These Celtic designs are the most popular tribal tattoos that owe their credit to the Celtic art. The design comprises several knots or loops with no starting and ending point. It is associated with the never ending cycle of death and rebirth. Animal tattoo designs like were dragon, lion etc were prevalent in the Celtic tribes. 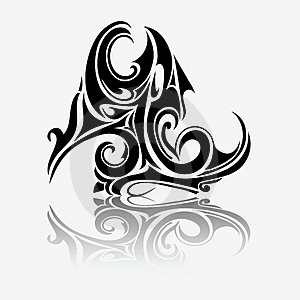 These tattoos owe their origin to Maoris tribe of New Zealand. The designs were used to depict ones prestige or pride and also the transition from one social status to one another. Among the North American tribes, the tribal tattoos denoted rank within the tribe. Different types of weapons were tattooed on their skin. Tattooing had a completely different concept for the Borneo tribes. According to them, they could actually draw energy from the spirits of the tattooed image or creature because they believed that spirits are present in everything surrounding them. There are some other tribal tattoo arts like Samoa Tribal art and African Tribal art that do not use pigments for tattooing. Instead in these art forms the skin was carved or cut with a sharp object and the wound created was the tattoo design.